Happy Wednesday! It's been a little quiet around Kat Stays Polished - mostly because I've been a little busy with the little one. I promise that next week will be full of posts! So today's Wednesday Jamberry design mani is Once Upon a Dream - one of the Aurora designs from the Disney Collection by Jamberry. So, all of the original 21 designs will be retiring on May 3 so if you were interested in any of those designs, please be sure to check it out before then. Today's mani is super simple because I couldn't quite find the right color to match this wrap. I decided to finally give the Zoya Naked Manicure set that I purchased a while back. 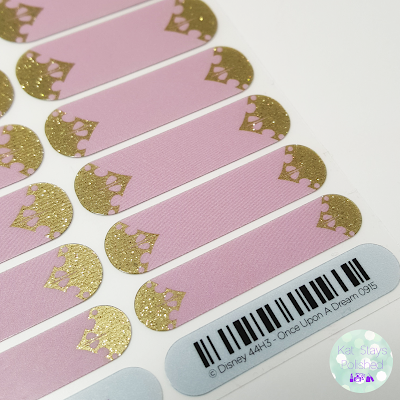 Once Upon a Dream is a gorgeous pink based wrap with a gold tiara design close to the cuticle. It's simple, clean, and just very princess-y. 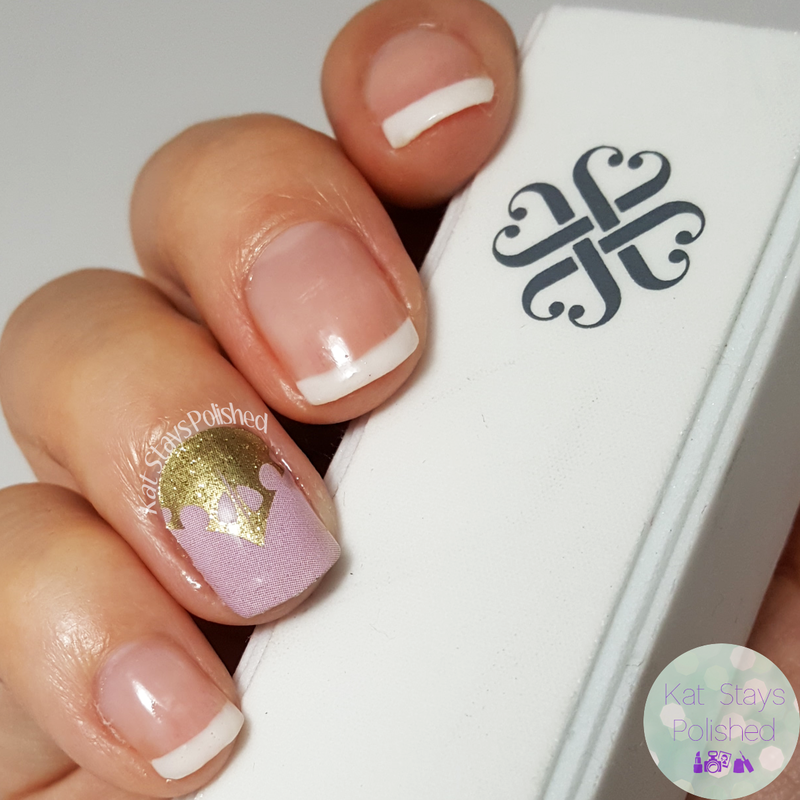 I used the Zoya Naked Manicure system to do a very cute French manicure. It was the only design that wouldn't clash with this wrap design and I think it actually works. What do you think? I painted on the base coat, then 2 coats of the pink perfector, then used the white tip perfector, then 1 coat of satin seal top coat to blur and blend the polish, and finally topped it off with the glossy seal top coat. I may do this more often because I really love the way it turned out! What do you think? Did I make the right decision by going classic with the French manicure? I really encourage you to give these wraps a try if you have not already. One thing that I did this time around was to seal it off with a gel overlay. After the wrap was applied and cooled, I applied a gel base coat, cured it, then a gel top coat, cured it and wiped it clean. This helps to seal the free edge of the wrap and nail tremendously. If you have issues with the edge lifting, this is the solution! I'm also running a little special of my own. For anyone that orders ANYTHING from my site, I'll be sending out a little something from me. This could be a cute accent sheet, this could be a pedi-pack....someone may even win a heater from me (which is totally awesome because it helps with application)! Visit my Facebook Page for all the details! I like the simple french manicure with the accent nail. Its lovely. 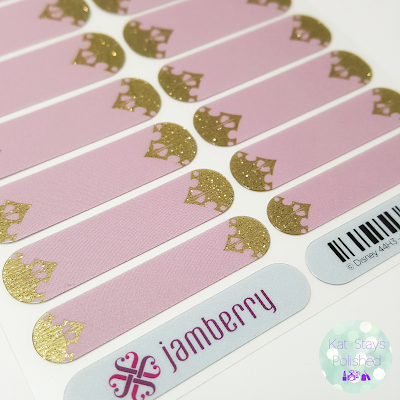 That's a beautiful use of the Jamberry wrap. That song is in my head now lol these are beautiful wraps! I really really like this design! I just used the Naked Manicure set the other day, and I really like it. Makes my nails look so clean and healthy. Not sure I would think to pair it with a detailed accent like this, but to each their own!